APIIT NAT Result 2019 will be declared in the month of May 2019. The result for APIIT NAT 2019 will be declared in online mode only. Candidates who have successfully appeared in the APIIT NAT 2019 will be able to check their results by entering their application number on the official website of APIIT NAT. The result for this national level entrance examination will not be communicated to the candidates through postal services. 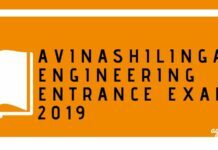 The APIIT NAT 2019 Result is important for the candidates who wish to take admission in the engineering courses offered by the Asia Pacific Institute of Information Technology. Candidates will be allotted seats as per their performance in the National Aptitude Test. 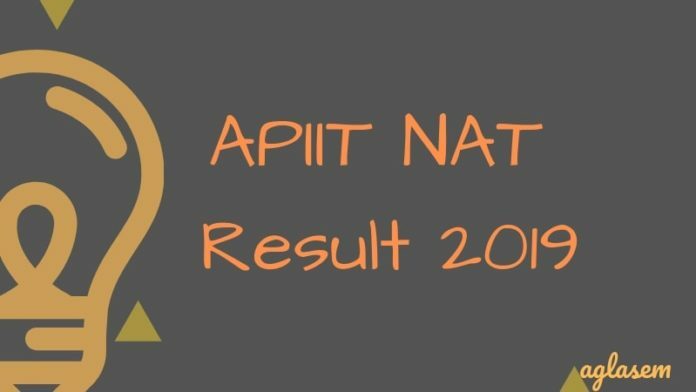 Get here complete details regarding APIIT NAT 2019 Result. Candidates are allotted 25% of the total seats reserved for Institute Level on the basis of the APIIT NAT 2019 Result. The official examination conducting body for APIIT NAT 2019 will release a merit list on the website. Once, the result has been successfully announced, candidates will further be called for the APIIT NAT 2019 counselling round. The table below comprises of all the important events and their expected schedules for APIIT NAT 2019. Check Result: APIIT NAT 2019 Results will be announced on www.apiit.edu.in. Candidates will be able to check their results on the official website of APIIT NAT or by clicking on the direct link provided above. Candidates will be directed straight to the APIIT NAT 2019 results portal where they will have to enter their correct application number to access the APIIT NAT 2019 results. Merit List: As per the score obtained by the candiadtes in d the APIIT NAT 2019 a merit list will be prepared. 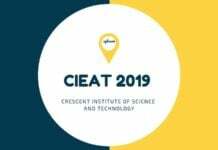 Candidates as per their merit will be assigned a rank according to which they will have to attend the counseling round for admission to Asia Pacific Institute of Information Technology. Candidates who score well in the APIIT NAT 2019 test will be eligible for the APIIT NAT scholarship. Candidates will be granted scholarships as per their performance in the APIIT NAT 2019. We have listed details regarding the marks scored by the candidate in the test and the percentile of fees concession that the candidates can avail. This information is listed by referring to previous year’s information brochure and is listed only for the reference of the candidates.